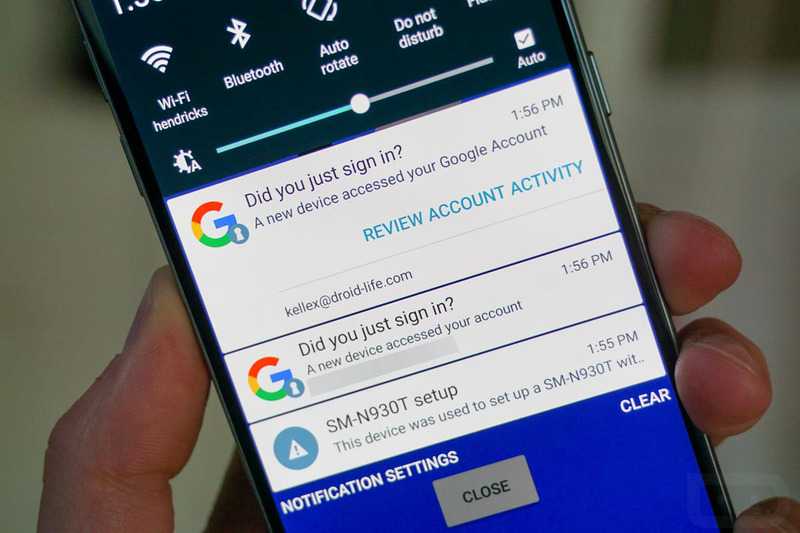 At the beginning of August, Google introduced a new security feature to Android that should help users catch unwanted logins from other devices. 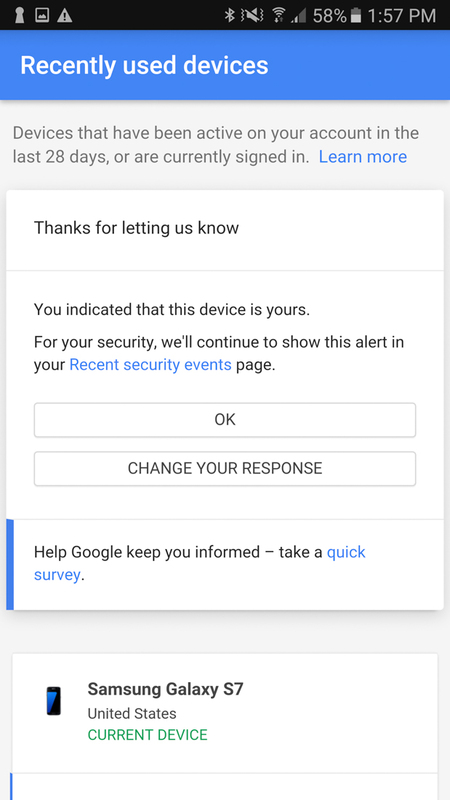 While Google has always sent out email confirmations or warnings about new device logins, this new feature was supposed to pop-up native notifications on your current device the second you or someone else logs in. The new feature, which was supposed to start rolling out gradually right away, now seems to be live, at least for me. 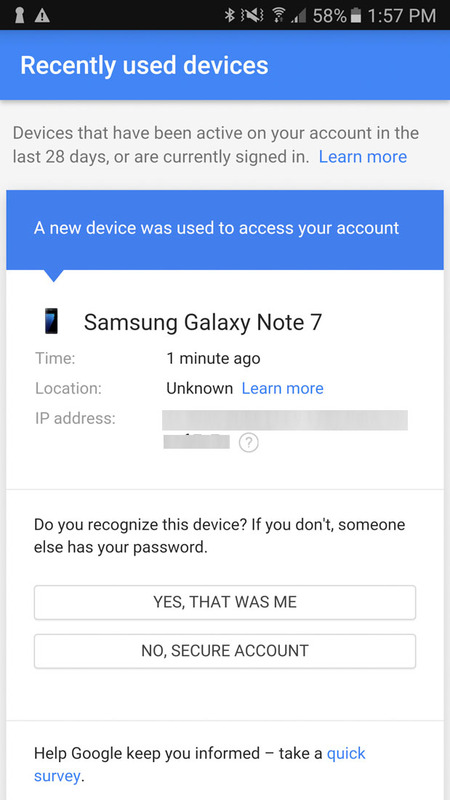 While setting up the Galaxy Note 7 that arrived at the DL offices today, I received instant notifications on my Galaxy S7 immediately after adding my Google accounts to the Note. The notifications look exactly like Google showed when they announced the feature, but we also have the other screens that you are taken to below. As the notifications roll in, you can swipe them away if you aren’t concerned about the login or tap “Review account activity” to see the full story. 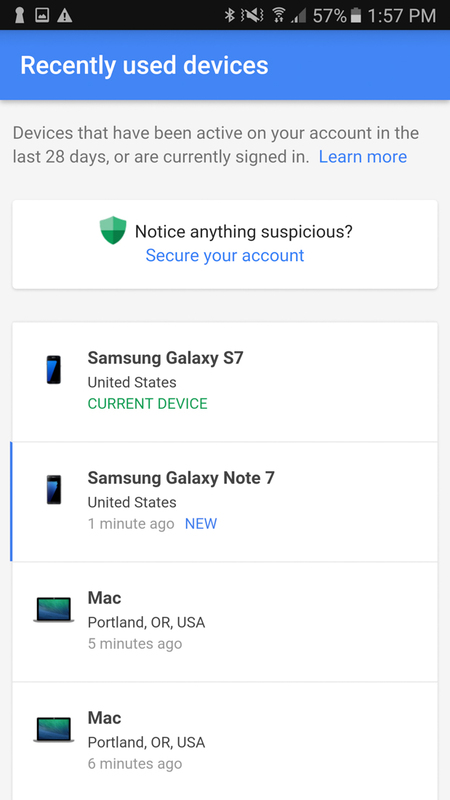 The next page is a “Recently used devices” page for your account that lets you tell Google if the new device login was you and that things are fine or if they should secure your account. I didn’t secure my account, because that sounds like it could be a disaster to undo. 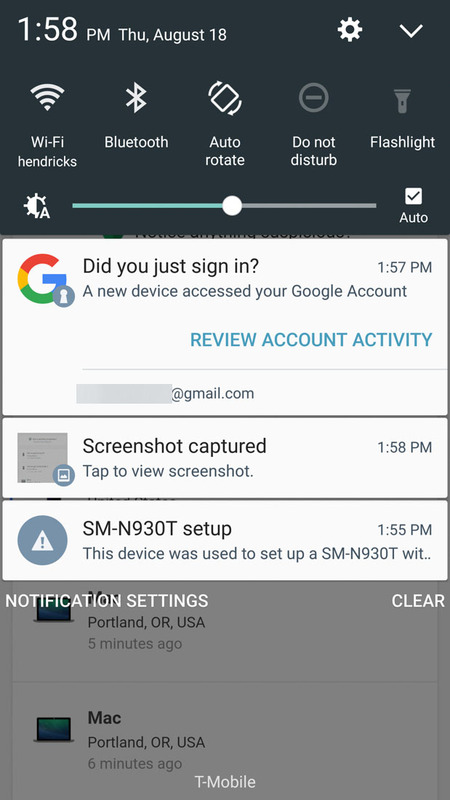 However, you can see after tapping on “Yes, that was me,” Google took me to another screen that offered me the choice to change my mind before proceeding onto a list of all devices that had recently accessed my Google account. The whole process is pretty slick and worked seamlessly. Hopefully, none of you encounter these notifications, though, unless you happen to pick-up a new phone. Samsung Galaxy Note 7 Unboxing!